This season’s Marquette men’s soccer team changed the way people view the program. The team won the Big East Blue Division and is on track for even greater success in the future, as all but four seniors will return from this year’s squad next fall. 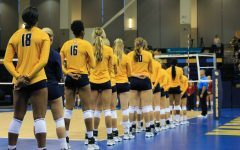 Though narrowly missing out on the NCAA Tournament, this team will be remembered for years to come as one of the program’s best ever. So in homage, I’m taking the opportunity to relive the top five moments from the historic season. 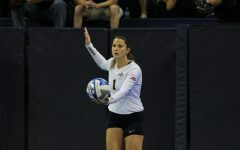 The Golden Eagles entered their Sept. 18th match against Michigan at 1-4-1. They were clearly struggling. Freshman C. Nortey played in the midfield during those first six games, and senior Calum Mallace had only played in three, all at center back due to injuries. With sophomore defender Eric Pothast and senior defender Michael Alfano healthy, Mallace moved into midfield, his natural position. To keep Nortey in the starting lineup, coach Louis Bennett moved him to the central striker in Marquette’s 4-3-3 formation. Nortey had never played the striker position the way Marquette does. He certainly didn’t show it. Down 1-0 in the 71st minute, Mallace had a free-kick at Michigan’s keeper, which bounced off the keeper’s chest to the middle of the six-yard box. Displaying his predatory instincts, Nortey struck the rebound home to tie the game at 1-1. 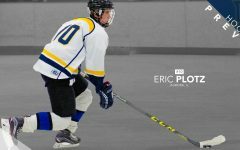 He would go on to be a unanimous selection to the Big East All-Rookie Team, scoring nine goals on the season, an incredible tally for a freshman. Marquette was 3-0-0 in Big East play, coming off a huge 3-1 win at No. 23 Providence. Freshman midfielder Sebastian Jansson’s father and brother were visiting from Sweden that week. It was a perfect time to see Jansson play, as the freshman was hitting peak form. In the 16th minute, Jansson finished fellow midfielder Anthony Selvaggi’s cross from the right wing at the far post. His goal gave Marquette a 1-0 win — its first over the Fighting Irish since 1990 — and a victory that proved Marquette’s legitimacy as a power in the conference. 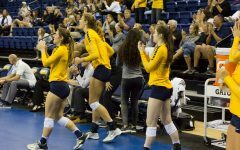 Without its 3-2 double overtime win against Western Michigan on Sept. 2 (the second game of the season), imagine how Marquette might have fallen. In this game, Marquette blew a 2-0 lead — conceding two second half penalty kicks — and played most of overtime on its collective back foot. But in soccer, it only takes one chance, and junior forward Andy Huftalin took his. Sophomore midfielder Bryan Ciesiulka crossed in a corner kick, which was cleared back to him. Ciesiulka sent another cross into the box, which Huftalin headed into the back of the net with 13 seconds left in the game. 2: Back to Ann Arbor. With a 1-4-1 start, three points were mandatory for Marquette against Michigan on Sept. 18. Nortey’s equalizer in the 73rd minute meant overtime, where it appeared headed for a draw. But once again, all you need is one chance. Junior goalkeeper David Check punted a ball upfield towards freshman midfielder Kelmend Islami. A Michigan defender missed his header, putting Islami through on goal. The Michigan keeper slipped, and Islami calmly put the ball over him into the back of the net, with 51 seconds left for the win. This marked a turning point in the rest of Marquette’s season, with the squad finishing 7-4-1 after that match. Of all the games previously mentioned, one night stands out more than the rest. 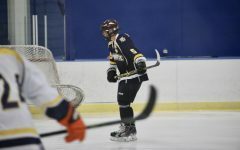 Possibly the best player in program history, Mallace, capped the regular season with a 59th minute goal to give the Golden Eagles a 1-0 victory over Pittsburgh on Oct. 29. During his four-year career, we constantly heard about his strong work ethic — all the hours put in before practice and all the hours put in after practice. Not only that, but Bennett’s long and difficult journey to build Marquette into what he had at Wisconsin-Milwaukee (five NCAA Tournament appearances in 11 seasons) finally had some traction. Two years ago the team won three games and was happy to qualify for the Big East Championship tournament. Now, Marquette is champion of the Big East.